These are skincare products which we use ourselves and are happy to recommend. They are botanically based, (meaning not mineral oil based) and are packaged in glass bottles. The current favourite for both of us, this range of skincare is made from edible, botanical ingredients, and the scent is divine. The 4 step system (cleanser, toner, serum & moisturiser) is actually super quick and easy to use, and we have found our skin becoming visibly brighter. Made in Australia, and packaged in glass bottles, this skincare feels luxurious to use and looks beautiful on the bathroom shelf. 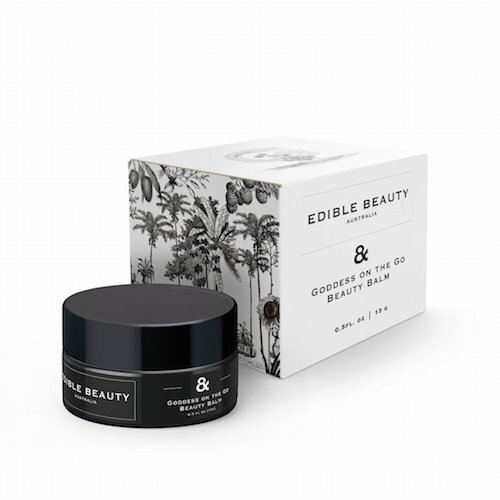 Edible Beauty deliver to Australia, NZ, USA and Canada. The glass bottles are packaged with compostable Bio-Fill peanuts (made from starch, which breaks down in the presence of water, and can be placed in a home compost bin) and cardboard. Another tick from us on the plastic-free journey! Who would have thought such an unsuspecting fruit could form the basis of such a brilliant face oil? Just a few drops of this smooth oil feels amazing on skin that is dry or unsettled. We love using this at night as an extra nourishing boost while we sleep. Made in Australia from organic prickly pear seed oil and organic extra virgin olive oil, this is a product that is worth its weight in gold. Used to treat scars, eczema & psoriasis , we keep a bottle in the medicine cabinet for bites, sunburn & so on. Highly recommended! ZERO WASTE BEAUTY TIP: use leftover coffee grounds to make an invigorating and luxurious facial exfoliator. Simply mix coffee grounds with a little water and apply. with rich pigmented colour. All natural, all vegan. A good range of colours (we especially love Grace as it goes with pretty much all outfits) and a luscious, creamy texture make Adorn's lipsticks a classic staple in any eco fashionista's handbag. Made in Australia from 80% certified organic ingredients (like cocoa butter and vanilla) these lipsticks also last well without requiring many touch-ups. The colours are gentle and classy, and the lipstick feels good when applied: very nourishing and doesn't leave a tacky film. Definitely a tick from us. Between the gorgeous packaging and the luxurious product, it's hard not to fall for the charms of Axiology lipstick. Wearing Axiology feels more like a deeply nourishing skin moisturiser on your lips, and yet it performs like a high end lipstick. Have a read of the ingredients list and you can see why it feels so good: organic avocado oil, organic grape seed oil, sweet orange oil, elderberry extract and so - makes it sound like a recipe for a luscious salad dressing! Packaged in a hand-made recycled paper box, and in a tube of metal (good to see as it is recyclable) this is a standout beauty product. Natural, vegan, luxurious and performance driven. Made in USA. The cutest little packaging belies the fact that this is a serious little player in the natural lipstick market! But let's just talk about the packaging for a moment, because it is rather glamorous. Plastic free, Fra Lippo Lippie is a burst of colour hiding behind a flamingo-etched mirror, which forms the lid on the metal tin. The mirror lid slides open, so the colour can be applied by finger or brush, and of course it's super handy to have a mirror for touch-ups on the run. To top it off, the tin comes in a sweet little fabric pouch. The lipstick is pleasant to apply, and the colours are gorgeous. I am using "A Whole Lotta Rosa" which is a fresh summery pink. Lipstick ingredients to avoid (& why). and don't contain petroleum derivatives. Made in Australia from native Australian ingredients. Handmade in Brooklyn, NYC from natural plant-based ingredients like shea, jojoba and citrus fruit oils. Made in Australia from ingredients like fair trade organic cocoa butter, candelilla wax and coconut oil. This well known vegan lip balm has a large range of flavours and is made in the USA. Made from 82% certified organic ingredients, such as shea butter, peppermint and coconut oil. Made in Australia from organic ingredients like shea butter, coconut and macadamia oils. just a little more to know your eye shadow is good quality. 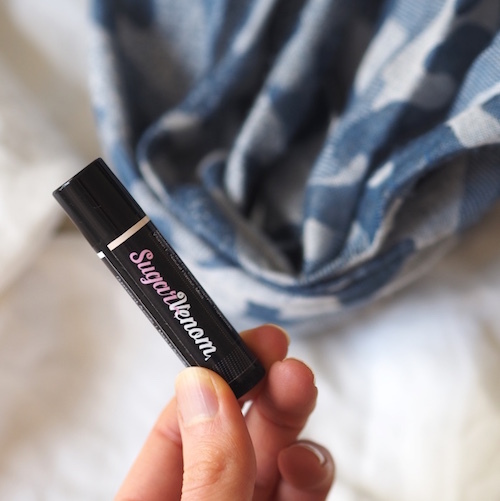 Hands down our favourite natural mascara, the entire range is vegan and made in Australia. 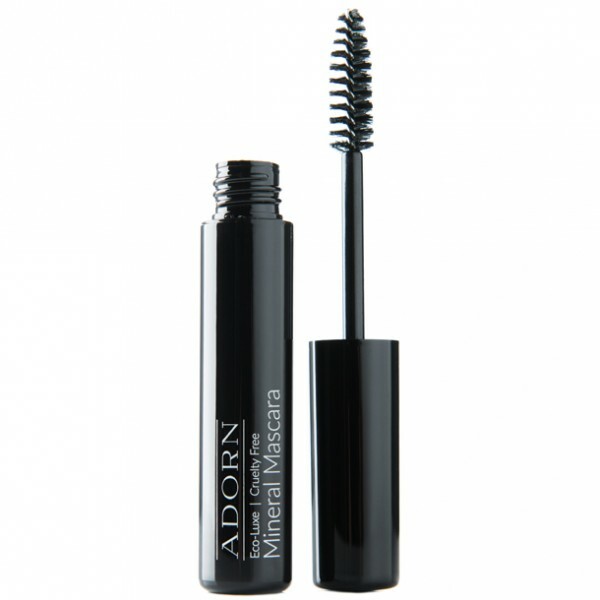 For a luscious effect, apply their primer first, then a top coat of black or brown mascara on top. Ideal for contact lens wearers, or those with sensitive eyes, this is a high quality product that we return to again and again. Another favourite is Eye of Horus, which is very easy to apply thanks to the curved brush and creates great cover. Clumps? What clumps? The double sided brush has a short side for application, and a longer side for combing through - with great results. Not all of the mascaras from this brand are vegan (some have beeswax) but this particular one, Bio Lash Lifting Mascara, is vegan and contains nourishing plant oils. Made in Canada, this mascara is also very impressive. Vegan, paraben & palm oil free, and arriving in sweet little cardboard box, it's a good everyday mascara which goes on evenly. 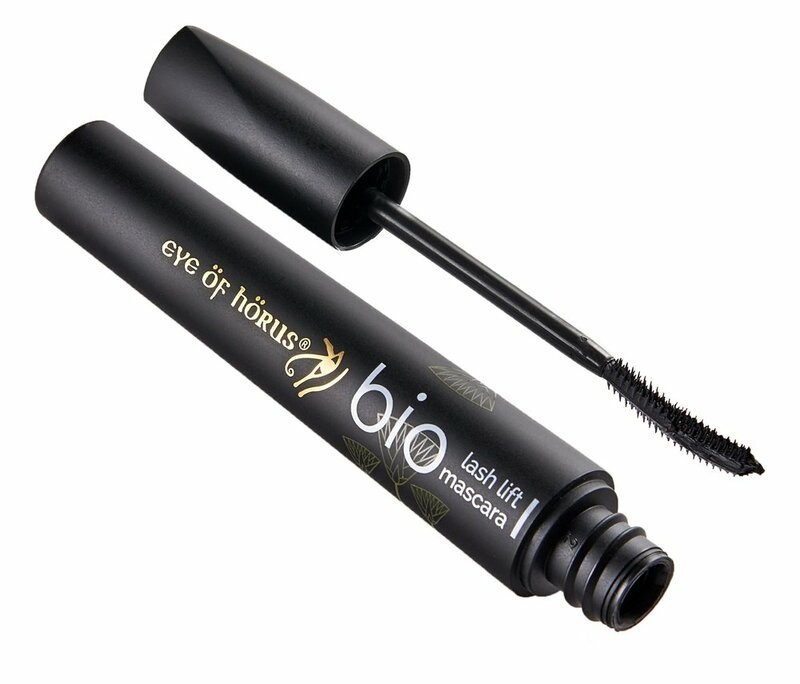 Doesn't create quite the same volume as Eye of Horus or Adorn, but sometimes that's a good thing depending on the look of the day, and how natural you want your lashes to look. We have so much love for this Byron Bay, Australia based makeup brand. They are very passionate about vegan, natural and planet-friendly cosmetics, and their mineral foundation is a favourite for both of us. Learn more about Eco Minerals in our interview with founder Lulu Starman here. This Australian based vegan makeup brand can now be found all over the world. They have a large range of different foundations, including loose mineral powder, baked mineral powder, organic liquid foundation and organic liquid BB cream. most of the ones we tried didn't last throughout the day. to keep sharing the love between brands. Natural Deodorants That Actually Work! Some of our favourite online stores to find a range of vegan, cruelty-free, natural & eco-friendly beauty products. A Good Scout: In their words - "An ethical marketplace with a handpicked, beautifully curated range of stylish vegan & eco gifts, homewares and lifestyle products". Australian based. Also have 4 physical stores in Queensland. Flora & Fauna: "100% vegan. Ethical. Eco. | Certified B Corporation"
Nourished Life: A large online beauty store with a focus on toxin-free, cruelty-free products. The Clean Collective: "Connecting and inspiring a Collective of people with the savviest natural and eco solutions on the market, and we’re collectively supporting the environment with every purchase to make the earth a healthier place for future generations. We can #bethechange!" The V Spot: "An online marketplace for the fashion conscious, offering the very best in ethical fashion and eco beauty. All of our products are proudly vegan, ethically made, environmentally friendly, and supportive of small business and indie designers".